Their ice cream comes from Cascade Glacier Ice Creamery of Eugene, Oregon. “It was the closest to homemade taste with pure ingredients,” Sheila said. 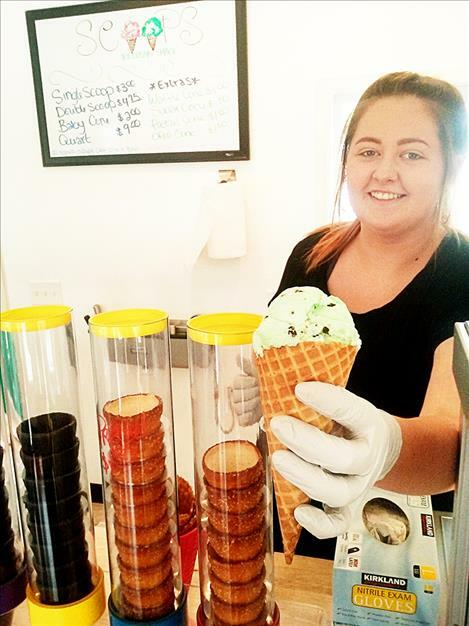 The shack keeps prices as low as possible with adult cones for $3 and children’s for $2. The couple’s daughter Lauren is managing the store. She returned to help in the barbecue restaurant the past three summers and came back again to help with the new endeavor. “It’s been so successful that she’s staying on,” Sheila said. “It’s a fun place to be,” Lauren said, noting children have been coming in every day.